Like a library in a dream or romance, Thomas Plume’s Library is reached via a stone spiral staircase. Low light and low ceilings, bookcases of solid oak, displays of ancient bindings, oil paintings with muted tones: a pocket of 18th century spacetime somehow enduring on Maldon High Street. Thomas Plume was a son of Essex, born in Maldon in 1630. A Cambridge Doctor of Divinity, he became Vicar of Greenwich, then in Kent, and eventually Archdeacon of Rochester. He died in 1704 and was buried at Longfield, also in Kent. Plume was no close-minded cleric, but an early Enlightenment man, interested in everything, collecting books on science, history and travel as well as theology. His intellectual range serves as a reminder, amid our current culture’s contempt for nuance, gradation and warranted ambiguity, that it is possible to hold, and perhaps even to reconcile, both a religious and a scientific outlook. Plume’s time at Greenwich coincided with the establishment of the Royal Observatory there, and he must have had a considerable interest in astronomy because in 1704 he founded the chair of Plumian Professor of Astronomy and Experimental Philosophy at the University of Cambridge, to ‘erect an Observatory and to maintain a studious and learned Professor of Astronomy and Experimental Philosophy, and to buy him and his successors utensils and instruments, quadrants, telescopes etc’. The chair still exists and has been held by such luminaries of British astronomy as Arthur Eddington, Fred Hoyle and Martin Rees. 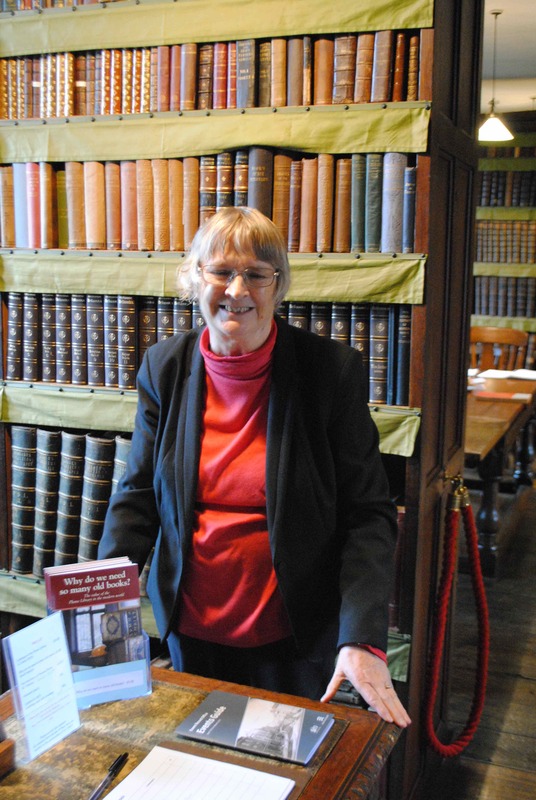 His other great bequest was the library he gave to his home town of Maldon. Plume spent much time, money and effort in accumulating the books and pamphlets for it, around 8,000 of them, and at some point during the1690s he chose the site of St Peter’s Church on the High Street, a medieval ruin, to construct a building for them. The west tower of the old church was restored and the conjoined new building housed a schoolroom for Maldon Grammar School on the ground floor and the library on the upper. There is a clear and slightly incongruous contrast between the old stone tower and the (then) new brick building. In his pamphlet The Intentions of Thomas Plume (available on the Plume Library’s website), WJ Petchey argues that ‘the juxtaposition of tower and library in contrasting styles was deliberate. It looks bizarre but is thereby more clearly a statement about the relationship of the English Church to the English State. They are shown as separate, distinguishably different institutions but linked as one body in which the key to Learning (the Library and the Schoolroom) is held by the Church, because entry to both rooms is through the Tower which remained the property of All Saints and St Peter’s parishes…Here, as in the design of the buildings, is a deliberate association of secular power—the Magistrate—with spiritual authority—the Clergy—which was to prevail in much of England until the late 19th century as the partnership of Squires and Parsons’. Plume specified that the Library was ‘for the use of the minister and clergy of the neighbouring parishes who generally make this town their place of residence on account of the unwholesomeness of the air in the vicinity of their churches’ but also that ‘any Gentleman or Scholar who desires, may go into it, and make use of any book there or borrow it, in case he leaves a vadimonium [a guarantee] with the Keeper for the restoring thereof fair and uncorrupted within a short time’. The variety of books is astonishing. Petchey points out that ‘there are books from almost every town or city in northern Europe that ever had a printing house in the 16th or 17th centuries and some from Spain, Italy and Eastern Europe. Many are of course from the great centres of the publishing trade—Antwerp, Paris, Lyons, Geneva, Leipzig, Cologne, Amsterdam—but also they have come from Poland, Sweden, Denmark, from presses in Glasgow, Aberdeen, Waterford. They include examples of the finest printing techniques of the time, others are of the most ordinary shop-work and there is at least one example of the hurried printing done on a fugitive press of an outlawed group’. The range is diverse not just in origin, but in subject matter and authorship. Here is Petchey again: ‘the books display the range of work which the European press was capable of publishing by the early 17th century in authorship, language and subject-matter, with Roman Catholic, Orthodox and Calvinist authors as well as Anglicans and Presbyterians, with texts in Hebrew, Persian, Syriac, Coptic and Greek as well as Latin and English, with medieval chroniclers, Tartar astronomers, Cardinals and Jesuits, Huguenots, a Portuguese bishop, a Bohemian educationalist, a Quaker prisoner in the Tolbooth of Aberdeen, as well as the expected host of English clergymen and lawyers’. 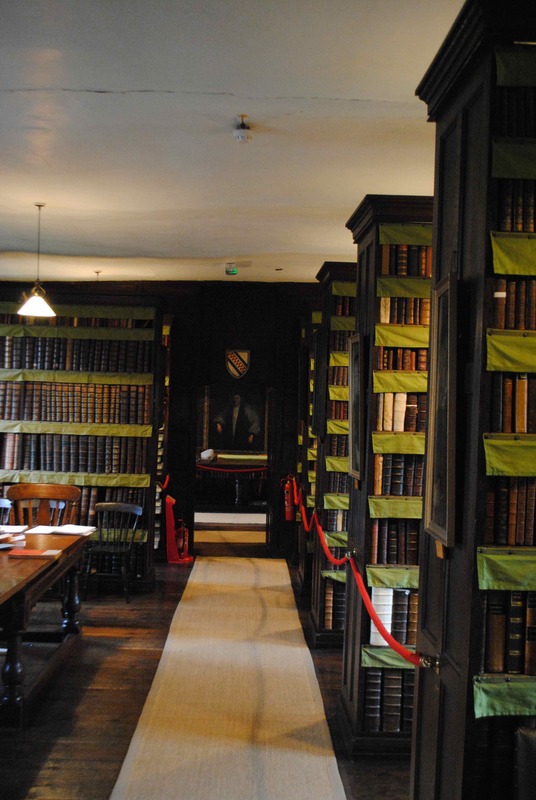 The Library is also an intriguing testament to the history of book selling and book collecting: it contains volumes once owned by Francis Bacon, Cardinal Richelieu, the Duke of Pomerania and the Elector of Brandenburg. But perhaps the most wonderful thing about Plume’s Library today is that it is open to anyone who wishes to read and research among its treasures (though understandably, books can no longer be borrowed). See the Library website for details of location, visiting hours and more. My thanks to Sue Belsham for showing me round.